The listener has to look on the back cover pretty closely to discover that this date was originally issued as an LP in 1977; but that certainly does not detract from its reissue, particularly since it has been long unavailable. 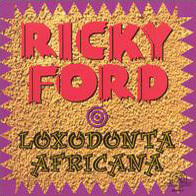 While there is ample evidence that Ricky Ford’s palette has broadened, and his sound has ripened notably over these twenty years, he has yet to craft a recording that tops this one. Opening with the original title track, Ford quickly indicates that he is under the enormous spell of Charles Mingus, in whose Jazz Workshop he was then performing. He brought a couple of other Chas players to the date, including longtime drummer/ alter ego Dannie Richmond, and pianist Bob Neloms (anyone know what’s become of him? ), in settings ranging from quintet to nonet. This is music with a buoyant attitude, music that is served up hard swinging and joyous. Just listen to Ricky’s tune “Dexter,” a paean to Mr. Gordon, to find ample evidence. It is a piece delivered with a nice hit of that Mingus-ian gospel fervor. On “My Romance,” Ford fattens his tenor tone to take the piece at a beautiful, languid pace.